Word Collect is an easy to play and fun word game. 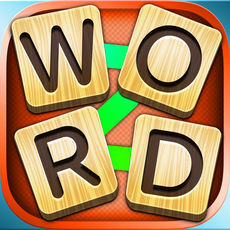 This game offers the classic gameplays of a word game in a new and fun way. If you have time to kill, word games on your mobile phone are always a great option because they help to build your vocabulary as well as make you more comfortable using new words. For this purpose, “Word Collect” is one of the best picks that you have to your disposition. It doesn’t only have a pleasant and well-organized interface but it is also brain-challenging. I understand that it is not so easy to find all the words needed to pass level 920 of Word collect game. Do not worry, below you can find all the answers. *Some bonus words may apply, but not needed to pass the level. Just put the level number in the box and hit enter. What happened to Word Addict level 920? Well, it is the same level as word collect 920. Word addict changed its name to Word Collect. So word addict level 920 is the same as word collect level 920. In case you are stuck on a specific chapter and are looking for our help look no further because we have just finished posting all the word collect answers for every level in our homepage. This game was developed by “Words Puzzle Games” and is available for download on App Store or Google Play Store for your iPhone, iPad, iPod Touch or Android devices.